Tim Andersen has combined a successful performing career along with a successful teaching career in the Dallas/Fort Worth area and throughout the country over the past 33 years. 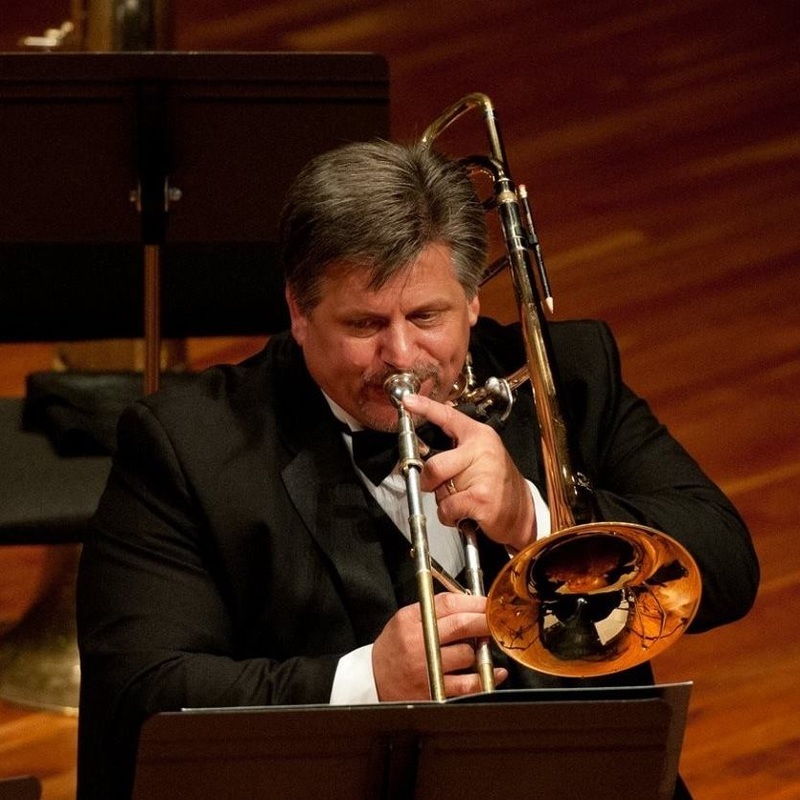 Tim is a Yamaha Performing Artist and has performed with the Grammy nominated, Dallas Winds for 28 years and has held the position of Co-Principal Trumpet since 2007. He is also a member of the Imperial Brass. Tim performs, records and tours frequently with the Dallas Symphony Orchestra, joining them on their European tour in the spring of 2013 and at the BRAVO VAIL Festival in Vail, Colorado in 2011, 2013 and 2016. 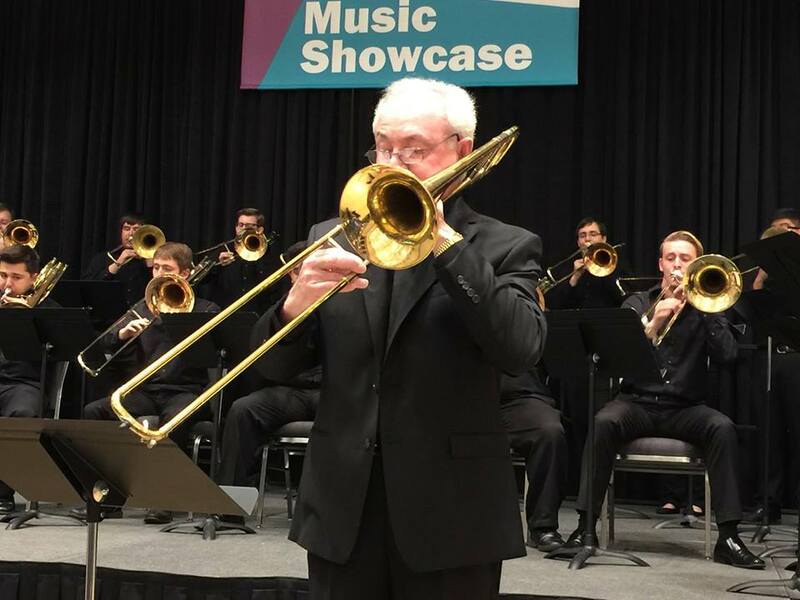 He is a faculty member at the Blast of Brass summer music camp and has performed numerous times at the Texas Music Educators Association Convention and Texas Bandmasters Association Convention. Mr. Andersen can be heard on over 20 recordings with the Imperial Brass, Dallas Brass, Dallas Wind Symphony and Dallas Symphony Orchestra as well as the video game, Banner Saga, with music written by Grammy Award winning composer, Austin Wintory. Tim is a member of the International Trumpet Guild, Texas Music Educators Association, Texas Bandmasters Association, and Phi Beta Mu. Tim began his teaching career in 1988. He has taught all levels of instrumental music from 5th grade general music through high school. This year marks his third year of retirement after 25 years of public school teaching. He is an active clinician in the North Texas area. Tim has presented clinics at the Texas Music Educators Association convention and the Texas Bandmasters Association convention as well as master classes at the University of North Texas and Louisiana State University. ​Tim received his undergraduate degree (BME) from the University of Nebraska-Lincoln. While attending the University of Nebraska, he won the International Trumpet Guild Student Solo Competition in 1981 and 1982. He also won the Music Teacher’s National Association National Brass Competition in 1981. Tim received his Master’s degree (MM in Trumpet Performance) from Indiana University as well as earning the coveted Performer’s Certificate from that institution. He was a featured soloist at the 2nd International Brass Congress in 1984. 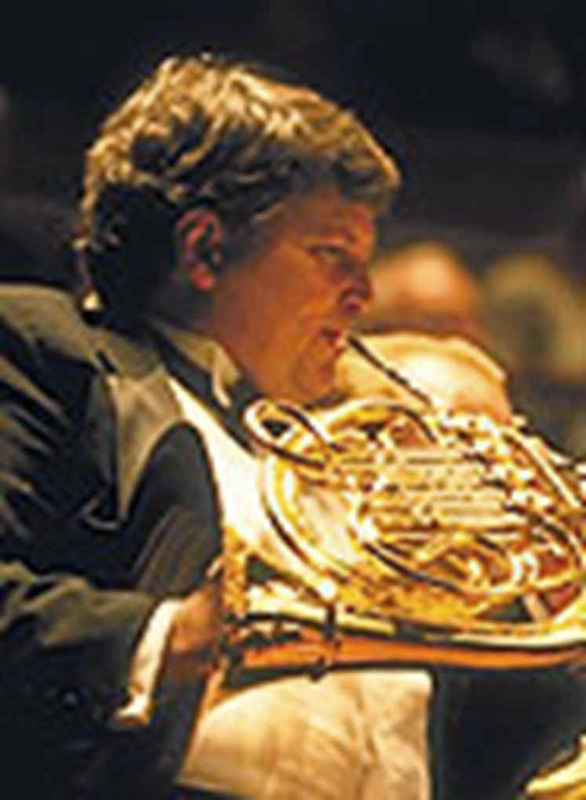 After relocating to Dallas in 1984, Tim began performing with the Dallas Brass. He toured with that group for three years and is featured on their first recording, Debut. He was a guest artist at the 1988 International Trumpet Guild conference as a member of the Dallas Brass. His primary mentors include Denny Schneider, Charles Gorham and Leonard Candelaria. 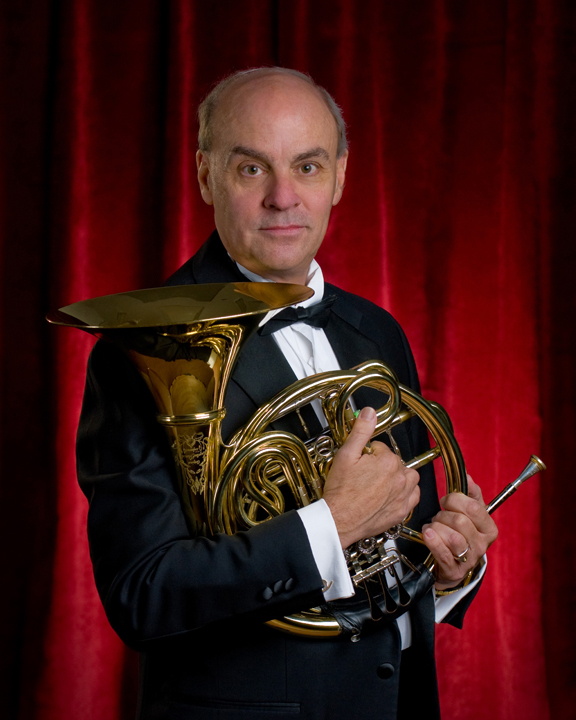 Michael Morrow is in his 39th year as Associate Professor of Horn at Texas A&M University-Commerce and his 24th season as 2nd horn of the Dallas Opera Orchestra and the Dallas Wind Symphony. A student of Philip Farkas at Indiana University, Mr. Morrow also studied at Indiana State University and Morehead State University. In 1994, Indiana State University honored him with the Music Alumni Outstanding Achievement Award. He has appeared as a soloist at the University of Arkansas, University of Kansas, University of North Texas, and at the 25th International horn Workshop. As a member of the Dallas Wind Symphony he has performed on seven compact discs with conductors Fredrick Fennell and Jerry Junkin. As a member of the Dallas Opera Orchestra he recorded the World Premier of Tobias Picker's opera "Therese Raquin." Mr.Morrow has performed over seventy different operas with the Dallas Opera orchestra including Wagner's monumental four opera "Ring" cycle and Alban Berg's 20th century masterpiece Wozzeck. For the past 25 summers, he has performed with the Breckenridge Music Festival Orchestra in Breckenridge, Colorado. Mr. Morrow's recording of "Contest solos for Horn" was released by Summit Records. Michael lives in Heath, Texas. His 14 year old daughter, Bailey Anne, is a fine cellos and an outstanding swimmer. Principal trombone, Dallas Opera orchestra and the Dallas Wind Symphony. Professor of low brass for Texas A&M University - Commerce. Associate professor of low brass at Texas A&M University-Commerce. North Texas where he was a member of the One O-clock Lab Band on bass trombone and tuba. He did graduate work at Yale University and received his master's degree from East Texas State University (Texas A&M-Commerce). His teachers have been his father, James Clark, Neill Humfeld, John Swallow, Royce Lumpkin, John Kitzman, Ed Jones and Vern Kagarice. He currently teaches trombone and euphonium at TAMUC. trombone of t he Dallas Opera Orchestra. He is also principal trombone with the Dallas Wind Symphony with whom he has recorded 13 CD's. He has performed with t he New York City Ballet Orchestra, Santa Fe Opera, Singapore Symphony, Fort Worth Symphony, San Antonio Symphony, East Texas Symphony, Richardson Symphony, Plano Symphony, and Keith Brion's New Sousa Band. He performs frequently with the Dallas Symphony and Fort Worth Symphony. He has also played with the big bands of Claude Gordon, Les Elgart , and Warren Covington. He has played with such noted performers as Ella Fitzgerald, Carol Lawrence, Dion Warwick, The Supremes, Marvin Gay, Jack Jones, Marvin Hamlisch, and Gladys Knight , to name a few! Mr. Clark was selected by his peers as a member of the University of North Texas One O-clock All-Star Alumni Band in 1996 and has also taught at the University of North Texas. 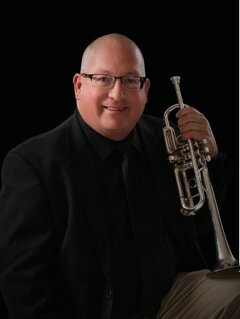 He is a member of Sundance Brass Quintet, which performs throughout t he Southwest . In 2003 Mr. Clark formed the Texas Trombone Octet, which won the Remington Trombone Choir competition of t he International Trombone Association. This group performed at the International Trombone Festival in Helsinki, Finland. He has placed students at Southern Methodist University, Baylor University, The Curtis Institute, The Cleveland Institute, The Juilliard School, Temple University and The President's Own US Marine Band and the Dallas Symphony. Twice, in 1997 and most recently in 2007, Mr. Clark has been presented with the President's Award by the International Trombone Associat ion, for his work as Advert ising Manager of t he Int ernat ional Trombone Association Journal. Mr. Clark is also active as a euphonium specialist and has performed on euphonium with the Dallas Symphony, the Dallas Wind Symphony, The Fort Worth Symphony, and various ot her groups. United States Marine Band in Washington, DC. Adam Miller grew up in the Dallas area where he graduated from Plano East Senior High, and then matriculated to Southern Methodist University in Dallas, TX. 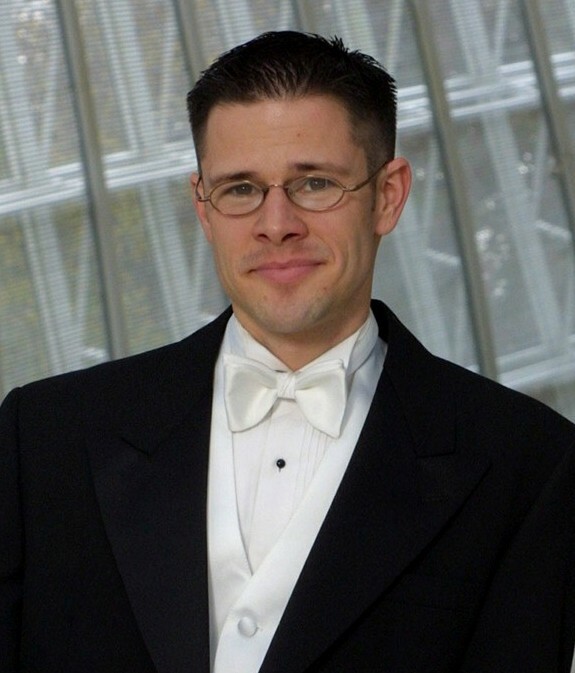 After receiving a Bachelors degree in Trumpet performance from SMU in 1999, he went to New York to attain a Masters degree in Trumpet performance from The Juilliard School, graduating in 2001. Adam followed his education with a one year position as Principal Trumpet in the Shanghai Broadcasting Symphony in Shanghai, China. In 2002, he settled in the Dallas area where he is an active trumpet teacher and freelance musician. Mr. Miller plays in the Irving Symphony, the Plano Symphony, and the Imperial Brass, a Philip Jones style brass ensemble ranging from 5 to 20 musicians. In his career, Adam has had the honor of performing with Luciano Pavorotti, Wynton Marsalis, Yo-Yo Ma, Josh Grobin, Idina Menzell, Christin Chenowith, and Sandy Patty among others. Adam Currently resides in Dallas, TX. Tim is an active performer and educator throughout North Texas. He holds positions with the Dallas Winds (formerly the Dallas Wind Symphony), The Dallas Pops, the East Texas Symphony Orchestra, and the Las Colinas Symphony Orchestra and teaches a studio of Horn players from ages 10-adult. In his 28th year of teaching, Tim's students have consistently earned honors including selection to the All-State, Area and Region Bands, Greater Dallas Youth Orchestra, Civic Orchestra of Chicago and New World Symphony. Tim has contributed to a combined 18 Texas State Championships in Marching, Concert and Solo & Ensemble. In the summers he teaches Horn for the "Blast of Brass" Summer Music Conference. Tim has many students pursuing successful professional careers in music. As a member of the Dallas Wind Symphony, Tim has performed on 19 Reference Recordings Compact Discs with Conductors Howard Dunn, Frederick Fennell, Austin Wintory and Jerry Junkin including the 1998 Grammy Nominated "Holidays and Epiphanies." 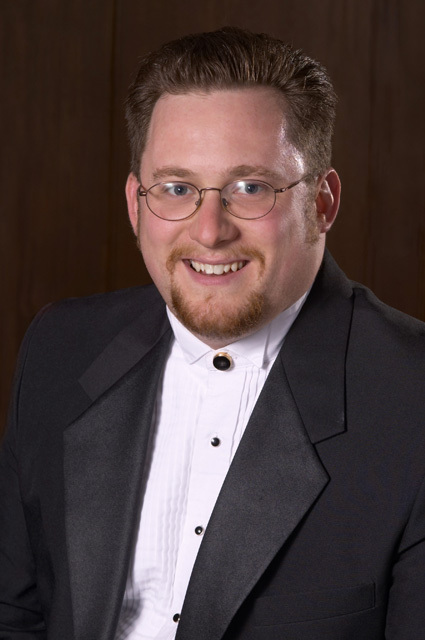 Mr. Stevens has also performed with the Dallas Opera Orchestra, New Mexico Symphony, Wichita Falls Symphony, Plano Symphony Orchestra, Irving Symphony and the Lewisville Lake Symphony. As a freelance musician he has performed in the Bands and Orchestras of many popular performers such as Andrea Bocelli, Kenny G, Celtic Fire, The Three Irish Tenors, Schonberg and Boublil: Hear the People Sing World Tour, Diana Ross, The Legend of Zelda, Bette Midler, Brian Wilson, Amy Grant, Michael W. Smith, Sandy Patty, The Spinners, The 5th Dimension, Alabama, The Oak Ridge Boys, and The Moody Blues. Tim lives in Rockwall, Texas with his wife, Chrystal, their Black Lab Bandit and their three cats Mason, Matilda and Marvin. Keith Meek is founder and owner of Metro Musical Productions, a musician contracting service. MMP has a musician list of over 800 high caliber performers, and assists the North Texas region with many of its musical needs from live performances to professional recordings. As an extension of MMP he created the BLAST OF BRASS Summer Music Conference. BOB is a weeklong music camp dedicated to the intense study of brass instrumental performance for young students and is hosted at Texas A&M University in Commerce, Texas. The BOB faculty is a list of internationally acclaimed performers and educators. BOB has featured numerous artists from such ensembles as the Chicago Symphony Orchestra, Cleveland Orchestra, Philadelphia Orchestra, Los Angeles Philharmonic, Dallas Symphony Orchestra, Houston Symphony Orchestra, "The President's Own" US Marine Band, Empire Brass Quintet, Canadian Brass Quintet…to name a few. As a performer, Keith has toured, soloed, and recorded with EUROBRASS, touring Germany and Switzerland, along with soloing with various High School and College band programs. He was selected to participate in the Tanglewood Empire Brass Quintet seminar (1986) and Summit Brass Institute (1986-1988). Keith has performed with most all of the North Texas orchestras and bands over the years along with numerous performances through MMP. As an educator, Keith is a popular clinician throughout the North Texas area. He has taught as adjunct trombone and low brass faculty at Howard Payne University and Eastfield College (DCCCD), along with building successful private studios in the Duncanville ISD (1989-2002) and Allen ISD (2009-2012). Keith’s studio has produced a large number of players who now hold major positions in the “President’s Own” Marine Band, The Washington National Opera / Kennedy Center Opera Orchestra, and various other ensembles around the country. Keith returned to the classroom and completed a Master of Music in Trombone Performance at Baylor University, graduating in 2014, as the Graduate Assistant to Brent Phillips. Keith also has the unique pleasure of leading the church orchestra of Park Cities Baptist Church as the Music and Worship Associate. Keith is married to Darla Meek, who is the Lecture in Elementary Music Education at Texas A&M University-Commerce, and they have two children, Aubrey a budding artists and performer, and Gregory a sports freak and future coach. For the past decade, Jason Wallace has made his profession as a music educator and tuba player. He began his teaching career as an assistant director at Coyle Middle School in Rowlett, TX. In 2006, he moved to Rockwall ISD as an assistant director at Cain Middle School and for the past 3 years he has served as the director of bands there. Mr. Wallace has been blessed to work with remarkable music educators and students. His bands have consistently earned superior ratings at festivals and UIL Concert and Sight-reading Contests. He has also been on faculty at the Blast of Brass Summer Brass Conference since 2003. As a tuba player, he performs with the Dallas Wind Symphony, the Lewisville Lake Symphony, and the Texas Star Brass Band. He has performed with the Dallas Opera Orchestra, the Plano Symphony and the East Texas Symphony. He has performed as a featured artist at the Texas Music Educators Association Convention, the Midwest Band and Orchestra Clinic, the Western International Band Clinic in Seattle, Washington and the Music for All National Band Festival in Indianapolis, Indiana. Mr. Wallace resides in Fate Texas with his wife Kara, who is also a music educator, and their three children, Eric, Claire, and Grace. Darla Meek serves as Lecturer and Music Education Coordinator at Texas A&M University-Commerce, teaching undergraduate and graduate music education classes and supervising student teachers. 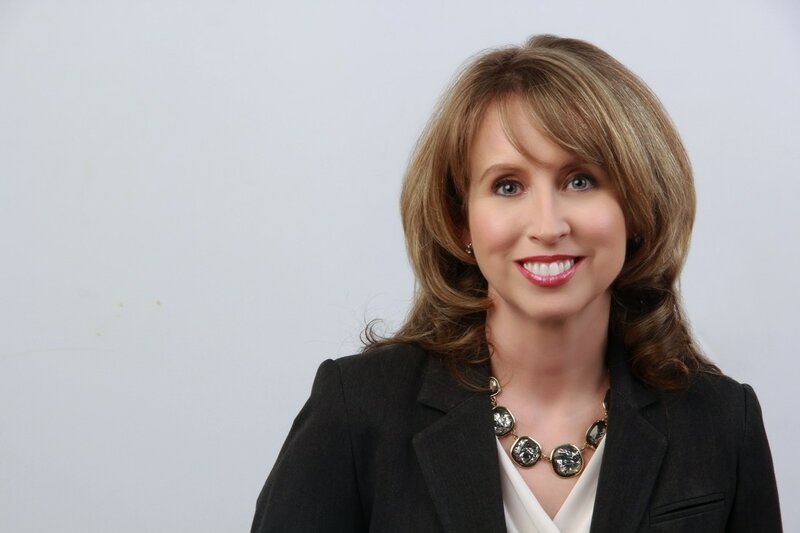 ​Darla earned a Bachelor of Music Education from Dallas Baptist University, and a Master of Music at Southern Methodist University in Dallas. She is certified in both Kodály and Orff Schulwerk. Mrs. Meek serves as a national teacher trainer for the American Orff Schulwerk Association in both Level I pedagogy and movement for Orff certification programs. Darla has published children’s choir curricula for Lifeway Christian Resources and for Celebrating Grace, Inc. Her most recent project was a method book for elementary music specialists, Journey Around the Globe with Recorder! published by Sweet Pipes, Inc. She often presents sessions for teachers at conferences and workshops at the district, state, and national levels.